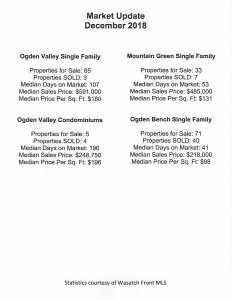 February real estate sales statistics for the Ogden Valley, Mountain Green, and Ogden Bench depict a market that is still strong in both the single family and condo sectors, with inventories remaining relatively low. 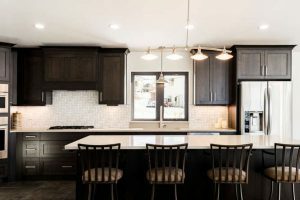 The greatest strength is in Ogden Valley/single family homes, under $500,000, with properties being snapped up within a few days of listing, and multiple offers in many cases. 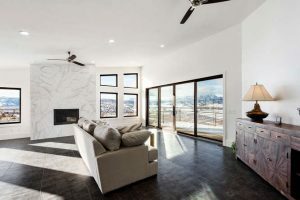 There is also some strengthening in the Valley’s $1,000,000 plus homes, and median sales price jumped to $247,000 for single family homes on the Ogden Bench. The snow and ski season has been extraordinary, with record skier days recorded at Snowbasin. 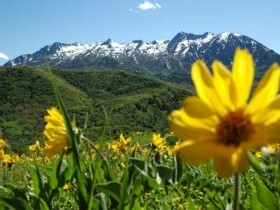 Many new visitors have been introduced to the Ogden, Ogden Valley, and Mountain Green areas. It will be interesting to watch the market after the ski season ends…to see how many of these visitors return to look at property after getting a glimpse of the stunning beauty, exemplary lifestyle and myriad opportunities this area offers. 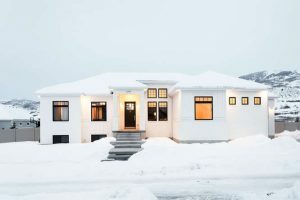 Following the traditional slow-down in residential real estate during the last few months of the year, January statistics show some upward movement in a couple of markets within the Ogden/Ogden Valley area. 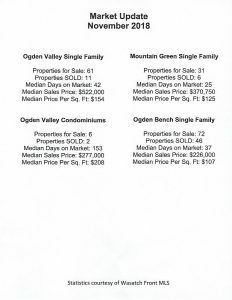 Condominiums and Townhomes in the Ogden Valley showed a median sales price increase of 75%+, from $280.000 to $478,000. This is too large a jump to hold at that level, but it continues an upward trend. Median days on the market in this category also dropped dramatically, from 120 days to 23. Single family home sales on the Ogden Bench showed a $20.00 per square foot increase on average, while the median days on the market dropped by 25%. 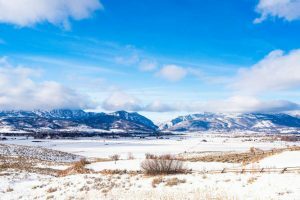 Inventory is still low in the Ogden Valley and Mountain Green areas, which continues to exert upward pressure on prices. Snowbasin announced today (2/6/19) that the resort will be a partner with Vail’s Epic Pass for the 2019/2020 season, which will bring additional promotion and publicity to the Ogden Valley and Ogden areas, and could result in more potential property buyers. 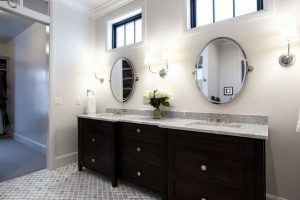 The combination of exquisite design, top quality construction and luxurious appointments unite to create this masterpiece! 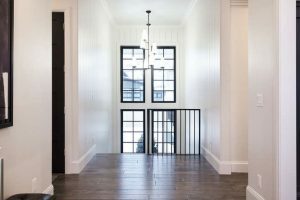 From the moment you enter, you will be awestruck by the floor to ceiling windows in the stairway, shiplap, crown molding, custom built-ins and high tray ceilings throughout the main level. The seamless flow from the family room to the kitchen provides abundant entertaining space for guests and family. The well-appointed kitchen boasts an Aga Elise professional range, separate refrigerator and freezer, a generous pantry, and Bespoke custom cabinetry all anchored by a Callacutta Vagli marble 9’ island. The great room flows to the large covered back porch where you are sure to enjoy the serenity of the private covered deck and yard that opens to nature and a mountain backdrop. 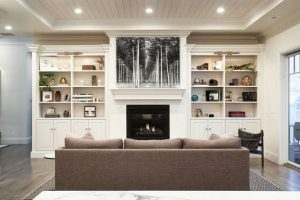 Retreat to your private master suite with its own fireplace and sitting area, generous floor to ceiling windows, and built in bookcase. 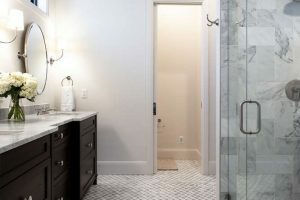 One ensuite guest bedroom located on the main and an additional ensuite bedroom on the lower level are complimented by two additional bedrooms on the lower level. The spacious family room in the lower level takes center stage and is complimented by a home theater and wet bar. This home must be seen to be appreciated! 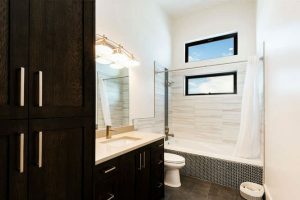 Minutes to Snowbasin ski resort, less than an hour to Park City and Salt Lake International Airport. 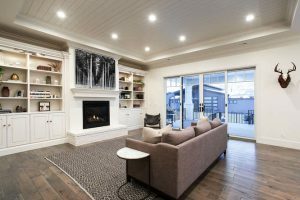 Comparing sales figures for November, 2018 and December 2018, in the Ogden Valley, Mountain Green and Ogden Bench areas, both condominiums and single family homes, the overall trend is fairly steady and continues upward. The biggest move in median square foot price was for single family homes in the Ogden Valley, which jumped from $154.00 to $180.00. Median sales price in the Valley for the same market also went from $522,000.00 to $591,000.00. The largest increase in median sales price was for single family homes was in the Mountain Green area, which rose from $371,000.00 to $485,000.00. Inventory in all three areas, single family and condominiums, is still relatively low, which is exerting upward pressure on prices. It’s still a great time to buy, particularly if the prices keep trending up. 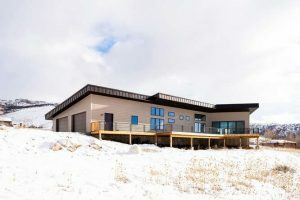 Nestled on a hillside overlooking Ogden Valley, this newly constructed mountain modern gem is ready for you to make your own. 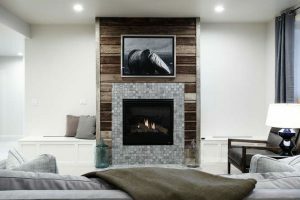 Relax by the fire as you watch magnificent sunsets above the peaks of Snowbasin illuminate the surface of Pineview Reservoir. Dramatic artwork is provided via stunning mountain and lake views through the vast floor to ceiling windows. Bosch appliances, quartz countertops and porcelain tile compliment the exquisite, minimalist, contemporary detail of this mountain home. 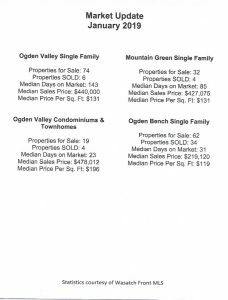 The markets for both single family homes and condos continued to trend up in the Ogden Valley in November, with median sales price and median price per sq. ft. both on the rise. 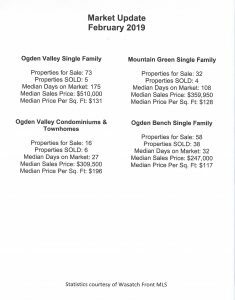 The single family home market in the adjacent Mountain Green and Ogden Bench areas trended slightly down in November, in total volume, median sales price and price per sq. 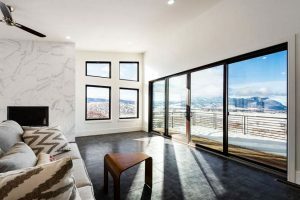 ft.
For more detailed, comparative statistical information for real estate markets in all or Utah’s ski resort areas, go to Utah Ski Country . Or call Lisa Karam at 801 791-8801. 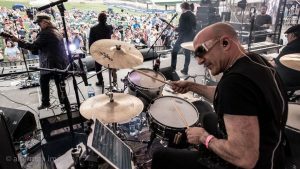 A day of electrifying, passionate performances of iconic songs by the artists who wrote them thrilled a wildly cheering crowd at the inaugural Troubeliever Fest at Snowbasin, August 3rd and 4th. From early afternoon until midnight on Saturday, a non-stop parade of the music industry’s highly acclaimed, much-awarded writers sang and played their versions of their work, and the quality of the experience sets an exceedingly high bar for other concerts to match. From the melodic beauty of country, folk, and crossover hits, to the hair-raising power of classic rock anthems, the variety of the music was as breathtaking as the quality. Troubeliever Fest provided an authentic feast for fans of the many genres and eras showcased at this groundbreaking singer-songwriter event. The Acoustic Café kicked off the music Friday evening inside Earl’s Lodge, where a standing room-only crowd listened to local artists and favorites Viviena & Leisina and the Tim Daniels Band. Monty Powell and Anna Wilson, the founders of TroubelieverFest, Huntsville residents, and multiple award-winning singer-songwriters and performers, joined the artists on stage, and a jam session quickly broke out. Featured artists Sammy Brue, Middleman/Burr, and Billy Dean joined in. “Magical” was the comment most heard as the audience filed out. Shortly after noon on Saturday, Billy Dean, a Grammy winner with Song-of-the-Year and Best-Vocalist awards, took the outdoor stage to kick off the day and evening lineup. In addition to performing, Dean was the event’s master of ceremonies. According to Powel, “If you want one guy, one voice, one guitar, Billy is the best you’ll ever see.” The audience seemed to agree. Teenage phenom and prodigy Sammy Brue, an Ogden resident, followed Dean, and with his band had the audience on their feet in appreciation of his exceptional talent, songs and energetic performance. Next up was Middleman/Burr, a husband-wife duo, with legendary, hall-of-fame careers as songwriters, and authors of many #1 hits. They complimented the power and poignancy of their lyrics and melodies with stellar voices, harmonies and guitar prowess. Again, the crowd loved it. Powell and Wilson, the festival’s founders, along with their band Troubador77, played an inspiring set that showcased their considerable songwriting, vocal, and instrumental talents. Powell has twelve #1 hits, Grammy awards, a Golden Globe nomination and Songwriter-of -the-Year and Song-of-the-Year credentials, and Wilson wrote the theme song for Habitat for Humanity, the festival’s charitable partner. She also wrote many of the songs they performed, including I’ve Got a Gun and Open Home, works that meld dynamic, haunting instrumentation with powerful, deeply meaningful lyrics for our troubled times. A jumbotron next to the stage and a skilled camera operator showcased the artists as they performed, with frequent close-ups focused on their instrumental mastery. Shawn Colvin has been credited for singlehandedly bringing back the folk genre of music in the 1990s, and she gave stirring renditions of her complex, socially conscious lyrics set to a lovely style of guitar accompaniment. If Billy Dean is the best male, single voice and a guitar, she may hold the honor for a female. Following Colvin to the stage was David Pack’s Legends Live. As the guitars and drums exploded in the first bars of their opening number, many in the crowd rushed to the front of the stage, and for the next hour, responded to the electrifying performances as if they had been transported back to Woodstock. These were iconic, scintillating, hair-raising anthems, from the heydays of classic rock, performed by the famous artists who wrote them. John Elephante belted out “Dust in the Wind” from Kansas, Richard Page, from Mister, Mister and more recently Ringo Starr’s All-Star Band, performed “Broken Wings,” and David Pack, founder and lead singer of Ambrosia, displayed his signature voice and guitar skills on his own songs, as well as a rousing cover of Pinball Wizard. And then there was Jim Peterik, founder, songwriter and lead singer of Ides of March and Survivor. He arrived on stage in Edwardian dress, with purple hair, a huge, purple electric guitar sculpted into a flame, and a top hat. His strong, driving vocals, dramatic guitar licks and stage antics on Vehicle and Eye of the Tiger drove the audience into a frenzy. The band and backup singers were world class, on fire. Peterik was dazzling. This was a classic rock experience at its best. One to savor. The evening’s final performances, by Rodney Crowell and the legendary Emmylou Harris, went on for over two hours. Crowell came out first and performed a selection of his many hits. His smooth baritone and guitar were complimented by an award-winning fiddle player and a young acoustic guitar prodigy who had the older pros and performers, now in the audience, shaking their heads in awe. 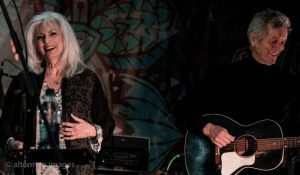 Emmylou Harris was Emmylou Harris – the soaring, crystal clear, other-worldly voice becoming more energized and dynamic as her set evolved. She remarked more than once, “I really like this singer-songwriter festival. I get to sing my own songs.” Crowell joined her back on stage, and their smiles and enthusiasm gave away the fun they were having. The audience was deeply appreciative, raucous in their response to her music, and although her performance had gone well past its’ allotted time, she rewarded them with two encores. A fitting finale to a landmark event in the Utah, and perhaps national, music scene. After years of stagnant prices, or small increases followed quickly by small decreases, the trend in recent months is indicative of a significant rise in Valley real estate prices. In September 2017, the average price of residences that sold, both single family homes and condominiums, was $127.00 per square foot. Through the first half of May 2018, that average has climbed to $170.00 per square ft. The trend is consistent enough to indicate a major upward price hike. 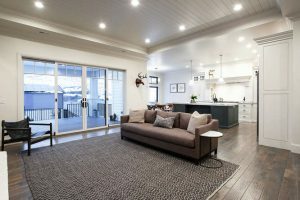 If you are a seller, it is the best time in recent memory to put your property on the market, as prior to this recent upward trend , prices had remained stubbornly low relative to other markets (think Park City and Salt Lake City) and the highs Ogden Valley real estate reached more than a decade ago. If you are a buyer, it may be your last chance to purchase a property before prices climb even higher. There is no way to predict which way the market will move in the future, but with current prices still very reasonable compared to other resort areas – it would seem at least an even bet that prices will continue to climb. Please call me, Lisa Karam, at 801 510-8220, if you would like additional information on real estate opportunities in the Ogden Valley area, or recent sales and pricing dynamics. 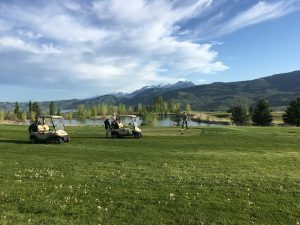 Golf season in the Ogden Valley is underway at Wolf Creek. The snow has melted, the magnificent golf course is open and lush, and the new clubhouse will open in June. A grill, member’s lounge, pro shop, and large patio adjacent to the eighteenth green – will offer all the amenities, and opportunities to relax and enjoy the Valley’s legendary ambience, before or after you golf. Or if you just drop by. Every round played in the spectacular Ogden Valley turns out to be memorable. Stunning views of the peaks of Snowbasin and Pineview resevoir, fun and challenging holes, and extremely reasonable pricing. If you haven’t experienced golf in our Valley – you need to. Call 801 745-3737 for more information on the course, the club, and T times. Just announced- TrouBeliever Fest at Snowbasin Resort August 3 & 4! Featured Artists: Emmylou Harris, Rodney Crowell, Billy Dean, Sammy Brue, Georgia Middleman, Garr Burr, Troubadour 77, Shawn Colvin, David Pack’s Legends Live so much more! Tickets on sale this Friday, May 4th at 10am.